For my recently launched “Fashion Friday” series, I especially enjoy featuring fashion icons and designers who also have fabulous style at home. I am a huge fan of Devon Baer Designs, and I also adore founder Devon Haire’s chic Manhattan apartment, which was featured in the April 2012 issue of Matchbook Magazine. 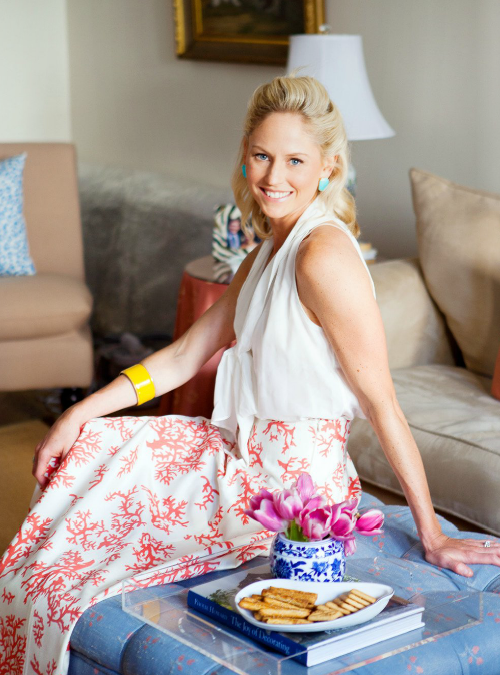 Devon’s collections are inspired by a Palm Beach cocktail party, and her clothing line has become synonymous with Palm Beach style. “I wanted it to have a slight 1960s feel but at the same time come off as refreshing and new,” she said. “There’s definitely a beachy vibe in there as well.” Let’s revisit the 2012 feature and learn more about Devon through a Q&A! Q: What fuels your love for Palm Beach style? A: My day to day life continues to change as I attempt to balance work and family. It has become a necessity to reach for classic and timeless, grab and go pieces in my closet. To me, Palm Beach style exudes a vintage luxury that will forever be classic and timeless. Q: Who are your top fashion icons? And what periods do you gravitate towards? A: There is really not one particular icon I look to season after season. My inspiration and design usually dictates a particular muse for the collection. So, I guess I have a fashion icon every season! Currently, I am going bonkers for the 60’s, of course with a traditional vision. Q: Did you decorate your own apartment? What was your inspiration? A: Yes, I did “decorate” my own apartment. My love for interiors matches that of fashion. I continue to be inspired by a small store front in the city, William & Wayne. 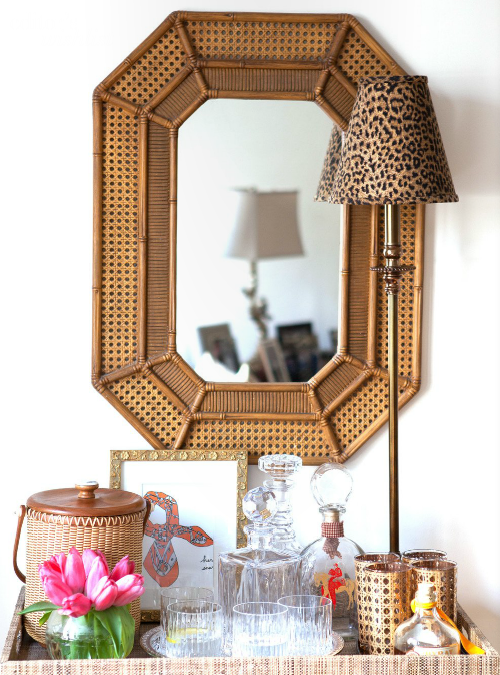 An eclectic mix of texture, color and pattern, grounded with bamboo, sisal, and antiques is everything! Devon is also a mutual fan of The Pink Pagoda. I was thrilled to see Jennifer’s art featured prominently in her home! I’m in love with these beautiful framed giclees, which can be purchased here. Q: What are your goals for Devon Baer Designs? A: We hope to continue to grow our ecommerce and wholesale business, and continue to give our loyal customers what they love. Our team is small, and very family oriented, so bear with us as we grow our families and hopefully give you those special pieces you cannot find anywhere else! 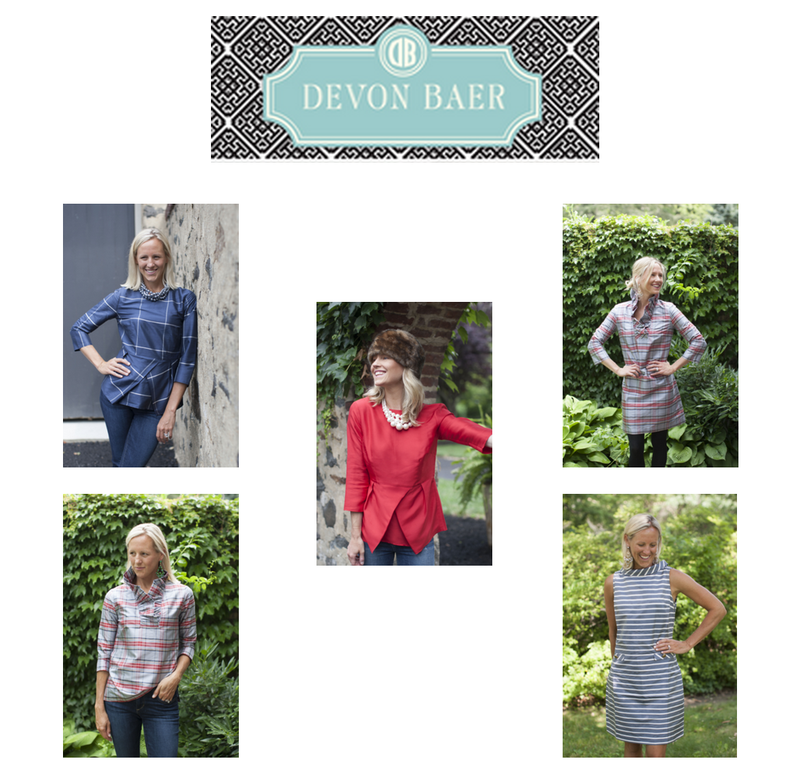 Devon Baer Designs founder, Devon Haire was born and raised outside of Philadelphia. 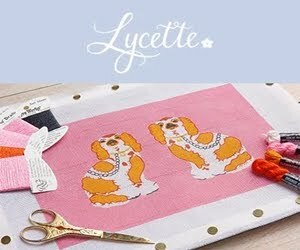 Her love of fashion was sparked at a young age by her passion for color, pattern, and unique style. Devon received a bachelor of fine arts degree from the Syracuse University fashion program and soon moved to Manhattan where she held an array of jobs in the design field. She founded Devon Baer Designs in 2010, and her collection can be purchased through devonbaer.com and Tuckernuck. Devon currently resides in Manhattan with her husband and 15 month-old son. She recently moved to a new apartment in the same building two floors up… stay tuned for more images! Thanks for the intro! She has fabulous style both in her personal style and home:) Enjoy your weekend. Thanks Andrea!! Love the coral long skirt she is wearing!! Fresh and fun line! The Palm beach vibe is wonderful!! 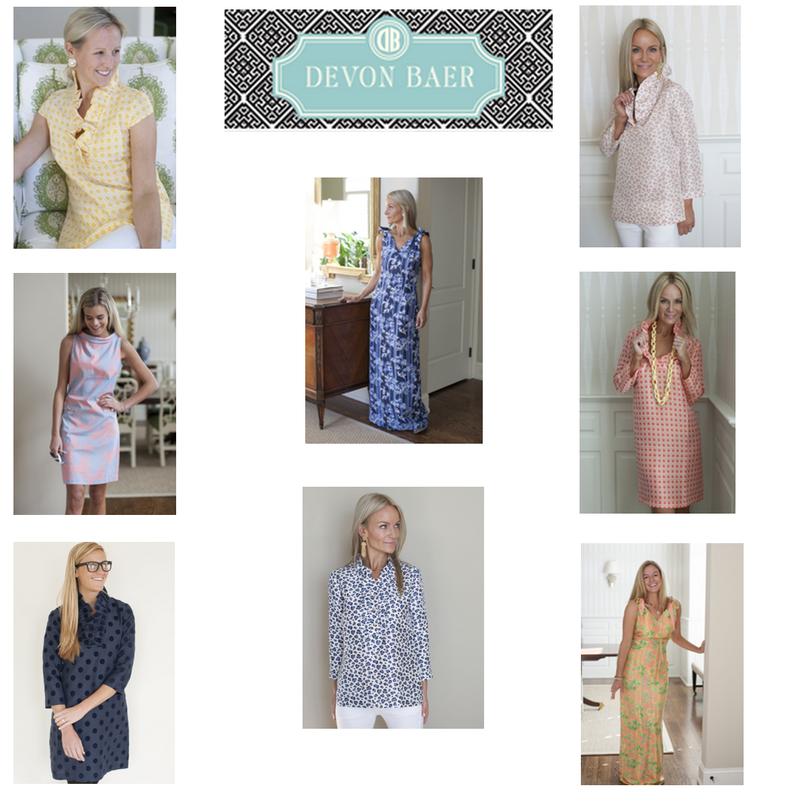 Love Devon Baer….classic and classy! The colors and patterns are great!